It’s six in the morning, I’ve been up for a while, making some revisions on a writing project, when the AFA Holiday Appeal with the compelling “Tanya’s Dream” subject line chimed in, letting me know what a tremendous response they already received to Tanya’s heartbreaking story, which they shared in a previous maling. Now they were giving me an opportunity to follow the example of “so many others” who have already contributed. Usually I just press delete but it’s six in the morning, the sun hasn’t risen, something about the darkness prompts me to bring a little light to this holiday message from the American Fertility Association. Reading the appeal I can’t help wondering who else is donating to making Tanya’s Dream come through, and are those donations going to affect Tanya’s “education on infertility?” Who pays the bills of this “charity” that asks us to support them; that tells us they are the one trustworthy resource, our one-stop-shop for all our needs when we’re “battling the debilitating disease of infertility.” Since this is a not for profit organization, as tax payers we are entitled to know the answers to that question. Anyway, here is the Fertile Heart Holiday Appeal: Donate your voice, donate your courage to a deeper conversation about Tanya’s Dream and the American Fertility Association’s and for that matter Resolve’s unspoken mission to keep the wheels of the infertility machine as well oiled as possible. After all where woudl their board of directors get all those juicy referrals? “The work (of repairing the world) is not yours to finish, but neither are you free to take no part in it,” is a famous adage of a medieval sage. How wonderful to know that we are needed. Raising the level of truth in the world of reproductive healthcare is the work we’ve been called to begin. Change doesn’t happen without someone speaking up. I say a reminder of what it is we come to do in this world, is a lovely way to enter the Holidays of Light. My dream was always to become a mother. Children are nothing short of miracles and I wanted to be blessed by one of those miracles. My road to motherhood has been a difficult journey. Many years ago, I was an innocent 19 year old who found herself pregnant. It was a heart breaking decision to make, but I felt like the best choice for my daughter was to place her for adoption. There is a hole left in your heart when you carry a baby and don’t take her home with you, but I knew I was giving her the best life possible and another couple a chance at being a family. Twenty years later, at 39 years old, I found myself facing another tough decision and that was to pursue motherhood on my own. Unfortunately, a few long-term relationships didn’t work out, and my longing to be a mother had not gone away. If anything, it was stronger than ever. I got pregnant on my first try and thought this process was easy until I lost my baby in the 4th month. Sadly, my battle with infertility had begun. Two more miscarriages were to follow and so did a deep haunting depression. Infertility is debilitating and very lonely without an organization like The AFA. One day I did a search for support and I found my therapist and e much needed information provided by The AFA website. I had no education on infertility and knew no one else battling this disease. The AFA taught me that I wasn’t alone and there were other options out there. Julia, thanks for post and thanks for the enlightenment, courage and support you are giving to families that are struggling to create miracles in this world. This article is right on time. Thank you. Thank you Julia for this important post. I went into get blood work done this week and I was struck by the look of desperation on womens faces there. They looked like how Tanya sounds in this message. IVF is going to be their savior… it’s very sad. Before I really started incorporating the fertile heart tools and message into my life I was one of them. I am looking at this year at using every opportunity I get to the word out. We have our work cut out for us! Perhaps even start my blog that I have given a lot of thought to but have not started yet. 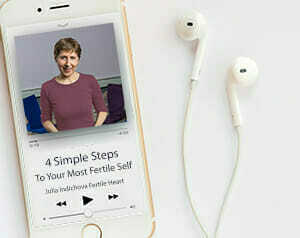 The AFA article and the apeal reminded me one more time how lucky I was to find Julia’s unique site, with inspiring and thoughtfull approach to fertility, that can be ” tailored” to anyone’s needs. Thanks Julia and a Happy New Year to you and the entire fertileheart community. Thank you, Julia. It is telling to see the major contributors to the AFA. Can’t there be balance – also donating for more awareness about other options – empowering women? Julia, thanks for this eye-opening post. I was not at all familiar with the AFA but after hearing the list of sponsors (thanks Suzanne! ), I’m realizing how insidious the message is… The timing couldn’t have been better as I feel myself being sucked into the fertility treadmill after wanting to trust myself for so long, so it’s encouraging to hear all your voices here and to be reminded that the course is mine to navigate, no matter what the rest of the world (even “support” networks) is trying to tell us. Julia, thanks for this post..exactly the medicine I needed this week. After being part of the fertility industrial complex that makes us educated women with multiple degrees question our “disease”, you just questioning has helped me regain my power. I feel strong and powerful in so many areas of my life except the fertility field where I give away my power to docs, fertility clinics and experts that make us feel we have a disease. To bring up your thinking and the mind-body connection is to get looks like “not only are you running out of time but you are losing it” Thank you for sharing with us what’s really going on. Hello all. Thanks Julia for another post that challenges us to think and act… your Visionary and Ultimate Mom were hard at work early in the morning. Suzanne thanks for posting the list of donors. How telling. A plea to help the fertility industry machine fight this “disease” but the only cure they promote puts money in their own pockets. They certainly don’t offer the only cure available… if only Tanya and others found their way here to this community and discovered the healing power of this work. I was just having a conversation with my husband about a very small study that looked at the power of imagery in people with cancer. We both were saying how unfair it is that so little (or maybe no money) gets put toward studies like these that could actually empower people vs lead people to think that the ONLY way is to put their lives into an “expert’s” hands. This is not to say that medicine doesn’t have its place, because I realize it does. But, like you said Tracy, it would be so beautiful to see more global awareness of the power of imagery, the OVUM practice, and the idea that we can be active participants – co-creators – in life. I am proud to be a part of this sisterhood and to contribute to its momentum! I find it interesting how Tanya refers to infertility as a disease and the sponsers donate to support education of this “disease” which we need medicine, education and cures to fight. I could be in the minority here, but as someone who works with people who have life threatening diseases like cancer, I don’t consider infertility the same thing… Humans don’t have the power of creating life. We can make embryos and place them in the most perfect oven that ever existed and not produce a baby. One thing that comes to mind is a comment that Julia mentioned during one of the phone circles. The heart has the power of veto. There really is so much more to creating life than engineering the perfect medicine to fight it. Wouldn’t it be great if some of the sponsers sent some money for education supporting the OVUM practice this way? For now I guess we have to spread the word ourselves…. Go Fertile Heart Sisterhood!!!! This is my first time learning about the AFA, but Suzanne’s comments on their sponsors are pretty telling. And the donation request, as if for a starving child abroad, does seem inappropriate. My hope is that the more the ‘alternative’ people educate the public, slowly alternative treatments will become more and more mainstream. This may seem idealistic, yet in just the past decade or so since I began in Chinese Medicine, the awareness of the field has grown significantly. Other changes that have boomed- the move towards mainstream health food stores, the growth of gluten free options, and even the return of cloth diapers. The more of us that spend on these options, the more options we have. Anne, your comment on acupuncture on helping for IVF is an issue I’ve faced. I met some nice folks at our local hospital’s fertility clinic, but really they only want acupuncturists to support IVF. I am happy to do so, but was not willing to sign on as that being my only use. Natural medicine is very powerful, but it is usually a slow process for the body to heal. Julia is a powerful voice to encourage the fertility consumer to breathe and choose slowly and carefully. This is such uncanny synchronicity. I went to a resolve meeting several weeks ago and I couldn’t put my finger on why I was so depressed all week afterward. My husband kept asking me what was said there that got me so down. After reading this, I just realized that I couldn’t say anything about my plans to stop meds altogether, because every single person in that group was either getting ready for an IVF or just had a failed cycle or was trying to decide if they should do PGD or an IUI. I just didn’t feel like I could say anything about what I was planning to do. They did talk about acupuncture but only as a way to make the IVF work. The phone circle on Monday was really amazing, Julia! What an incredibly wonderful community this is. You all gave me the best (well second best) Christmas gift, I really hope this is the year for all of us! . Advanced Fertility Centers of Chicago $25.00 to $50,000 and there is a whole long list of other IVF Clinics and big pharma. How can they say that they’re unbiased consumer advocates? Yep, I agree we sure got work ahead of us! I clicked on the donate link, then on the prominent find a doctor link on their page and what did I get? An article on egg freezing. And there was a line in that article on how women who are exposed to biological warfare should freeze their eggs. Like this is a sure thing that it works, or God forbid we should do something to stop biological warfare, we should freeze our eggs and hope that the rest of our bodies will not be affected by the biological warfare. We should just freeze our eggs and feed the well oiled machine of what you Julia so aptly call the infertility industrial complex. Wow, this feels good to feel my blood heating up a bit with Visionary anger. Go, Fertile Heart Sisterhood! Thank you for this brave blog, Julia!